The project partners have been carefully selected to bring a whole range of relevant, proven technologies and expertise into the project. 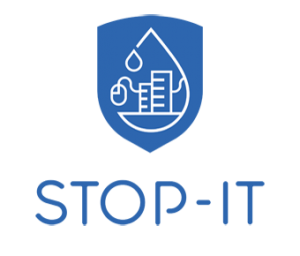 The STOP-IT team includes people from water utilities, industrial technology developers, high tech small and medium-sized enterprises and top research & development providers from all across Europe (if you click on the logos of our partners you are being directed to their websites). Aigües de Barcelona manages the metropolitan public service of the water integral cycle, which includes the three branches referred above: water supply, sewerage and wastewater treatment and reclamation of treated water. At the moment, around 3.2 million people are served drinkable water in the Barcelona area. As far as sewerage is concerned, the whole process involves the transportation of wastewater through the sewers, the treatment of this water in the wastewater treatment plants and the reclamation of part of this treated water for agriculture or environmental purposes, among others. The sewerage network covers a population of 3 million people, distributed in the 36 municipalities. Not only is Aigües de Barcelona responsible for the management of the main sewers of the network, but also for the local sewerage of many municipalities included in the Barcelona Metropolitan Area. Aplicatzia, or as it was originally known the Aplicatzia Software House, specializes in application development and business improvement processes. We use development languages for Android, Apple OS and Tablets prevalent in the business world. We will assist you focus on and improve exposure to your target audience, and introduce your business to clients you never imagined of attracting before. We at Aplicatzia will help you gain better control of the advertising and marketing of your products and introduce you to wider opportunities and new clients. Aplicatzia offers a complete solution from one single point (i.e. a One Stop Shop), from the characterization phase to full implementation on the client’s site. Our products include interfaces to central software management systems within the organization. The purpose of the interface is to continuously receive real time data, which is accurate at any given moment. The company offers interfaces to all popular management software, including: Hashavshevet, Windows, Sigma, and Acadia – a software system designed for management of diamond merchant offices, and in fact for every software product available on the market, which is built on Oracle SQL database platforms. Atos will lead the definitionof the Strategic, Tactical and Operational risk management framework architecture (T6.1). Additionally, Atos will contribute to WP5 by providing technologies for the detection of anomalies and a service oriented attribute-based access control mechanism. 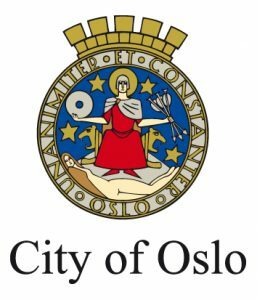 Bergen kommune, Water and Sewarge works is responsible for production and distribution of water to the 280.000 habitants of Bergen kommune as well as collecting and handling sewarge to prevent pollution and maintain water quality . We have the responsibility for planning of future installations as well as maintaining the current ones. Our objectives for participation in STOP-IT is to test the solutions produced in the project to improve our skills and solutions so we can keep our systems as safe as possible. The Berliner Wasserbetriebe (BWB) is a corporation under public law, and is the largest company in the field of water supply and wastewater treatment in Germany. BWB provides excellent drinking water for 3.7 million people in Berlin. It is also responsible for the sustainable treatment of wastewater of 3.9 million people in Berlin and the surrounding region. Surface water treatment plants and stormwater facilities are also in operation. Process engineering is one major department within the Berliner Wasserbetriebe. Thus, a safe drinking water supply and ecological wastewater treatment is one of the most important issues of our company. Previous relevant experience with a high degree of expertise and great responsibility for mankind and the environment, BWB has a long tradition for research and development of innovative technologies in full scale. Project experiences related to security issues were gained in a number of projects (with national funding) such as AquaBioTox, EDIT, PHOIBE, SMaRT-OnlineWDN and ResiWater. In the STOP-IT project we are enduser and one of the frontrunner water utilities. Cetaqua is a private non-profit foundation that integrates, manages and executes research projects with the aim of proposing innovative solutions to companies, governments and society in the area of the integral water cycle. Cetaqua’s organisational model is based on collaborative research in the private, public and scientific spheres. Cetaqua is a technology centre of reference in the creation of knowledge and the development of technologies related to the complete water cycle, in both Spain and internationally. 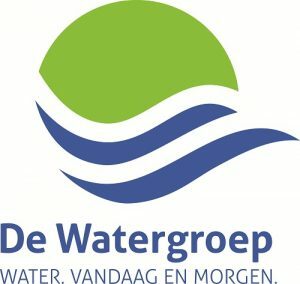 De Watergroep (hq in Brussels) is a drinking water utility with 62 production sites in Flanders, supplying 3 million customers in 175 municipalities. The source water is 53% groundwater, 22% surface water and 25% bulk imports of drinking water, and there are also exports of drinking water to adjacent utilities. The length of the mains is almost 32.500 km. All the installations are controlled by use of telemetry (SCADA) systems. Although De Watergroep pays a lot of attention to cybersecurity, water safety plans and water supply plans, it is recommended to have a more systematic security management and knowledge of innovative infrastructure stress testing platforms, to be prepared. De Watergroep as follower water utility is mainly involved in WP2 (CoPs), WP8 (train & transfer) and WP9 to test the STOP-IT market uptake. 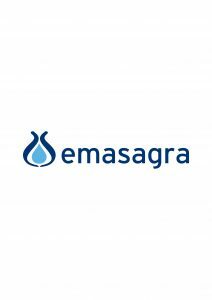 EMASAGRA, S.A. is a mixed economy company founded in 1981: it has the Granada City Council as main shareholder (51%) and Hidralia, S.A. (49%) as private partner. Moreover Hidralia is part of Suez Group (50%). On the other hand, EMASAGRA, S.A. is a company in the environmental sector that manages all processes related to the complete water cycle: catchment, drinking water treatment, transport and distribution for human consumption with full health guarantees in the city of Granada and 14 municipalities in the metropolitan area of Granada with a population served of 385.298 inhabitants. We also take care of sewerage and wastewater treatment, the return of treated water into the environment and the reuse of the gas and sludge created during the treatment process. The EMASAGRA vision is based on the excellence of the service provided to all customers: households and companies. Eurecat, Technology Centre of Catalonia (member of Tecnio), brings together the expertise of 600 professionals who generate a volume of income of 43 M € per year. Serving more than a thousand companies, Eurecat is involved in 160 projects of R&D national and international with high strategic value and has 73 patents and 8 technology companies. It has ten centres in Catalonia and one in Brazil. Eurecat is leading the implementation of technologies for the protection of Water Utilities (WP5), and particularly deploying tools in the cibersecurity field to protect communications & IT systems, while also ensuring the integrity of data. 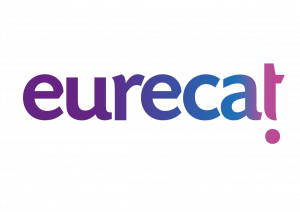 Eurecat has also a principal role in the integration of the risk assesment management systems tools for detecting natural hazards. Finally EURECAT will be also involed in the construction of the collaborative platform and the simulated testing environments. 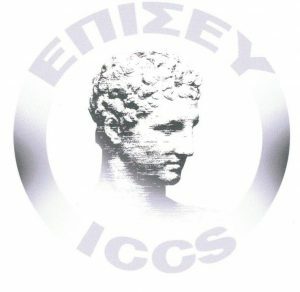 ICCS is a research organisation associated with the School of Electrical and Computer Engineering (SECE) of the National Technical University of Athens (NTUA). The SECE is a well-reputed school with more than 1000 active students and 200 PhD students. ICCS has been established in 1989 by the Ministry of Education in order to carry out R&D activity in the fields of all diverse aspects of telecommunication systems, biomedical engineering, and distributed systems, control systems, computer systems and their applications, software and hardware engineering. The active research personnel of ICCS presently consists of 60 SECE/NTUA staff members, 15 additional research scientists & more than 500 research associates. There are about 40 laboratories and research units presently active in ICCS. IWW Water Centre is one of the leading water research institutes in Germany and a prominent member of the international research community. In its research branch, IWW is a private, not-for-profit company affiliated with the University of Duisburg-Essen. Founded in 1986, IWW presently employs more than 100 full-time employees at three locations with the headquarter in Mülheim in Germany. The 20 shareholders of IWW are mainly from the water-supply and wastewater industry. Main fields of activity are water resources management, water technology, water networks, water quality analysis, applied microbiology, water economics and management. IWW is one of the main initiators of STOP-IT and mainly responsible for the “Community of Practice” and the dissemination of the project. IWW also contributes to the development of risk-management tools within STOP-IT. KWR is the Dutch research institute for the drinking water sector, their current shareholders. This collaboration has resulted in a powerful knowledge base and an extensive collective memory (> 60 years) for the drinking water sector. We develop and unlock relevant knowledge about the water cycle: from water systems to water technology and (clean) water quality. mnemonic helps businesses manage their security risks, protect their data and defend against cyber threats. Our expert team of security consultants, product specialists, threat researchers, incident responders and ethical hackers, combined with our Argus security platform ensure we stay ahead of advanced cyberattacks and protect our customers from evolving threats. mnemonic is an official partner of the project and participates by sharing its expertise in cyber and information security management. In addition, mnemonic contributes with industry specific technology like the Argus ICS Defender, a system designed to protect mission-critical Industrial Control Systems against modern threats. VAV is the biggest water utility in Norway, it covers both water supply and waste water handling. VAV has participated in numerous research projects with Norwegian and European partners in recent years, also covering aspects of safety and security of water infrastructure. As the first water operator in Norway, VAV performed a comprehensive safety and security risk assessment of their own operations six years ago, and has in the following years continually strived to improve their safety and security posture. VAV is owned by the City of Oslo and has around 600 employees. VAV is one of the initiators of STOP-IT and is one of the four front runners in the project, mainly participating in WP2, WP3 and WP7.Contamination of clean water storage and distribution, illegal access to the facilities and cyber-attacks affecting IT / SCADA systems are the major threats. 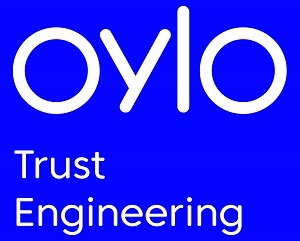 Oylo Trust Engineering is an industrial systems-based company. Its main activity is the Cyber Security in loT operations technology and a look towards advanced treatment in cybersecurity critical processes. At the moment it employs a team of 20 people in its headquarters in Spainat the World Trade Center in Barcelona and a 6-person team in Santiago de Chile. For Oylo it is very clear that specialization is essential and that a service of quality comes from its core values. Perseverance, training and passion are its fundamental pillars that are also applied in different volunteering activities with ONG organisations. In fact, the company commits to do good and particularly takes care of children in reception centers. At the same time, the company integrates people with autism, Asperger syndrome or similar in order to give value to their special abilities in data treatments and informatic systems. • Managing Projects and driving innovation. RISA Sicherheitanalysen GmbH is a highly specialized engineering office dealing with questions of safety and reliability of technical systems in the area of high risks (probabilistics) as well as data management in the environmental sector (environmental-information systems). RISA GmbH was founded in 1990 from a working group of the TU Berlin and since then has been involved in environmental and safety research projects at both national and European level. The customers include industrial companies (energy suppliers, component manufacturers, chemical and pharmaceutical companies) as well as environmental authorities. Examples of typical projects are conductions of probabilistic safety analyzes (PSAs) for nuclear power plants, including human error analysis (HRA), safety analyzes for the automotive and aerospace industries (liquid hydrogen fuel, alternative refrigerants, drive controls, engine controls), support to the environmental protection ministry within the framework of European reporting requirements and the emissions trade as well as waste water catalysts for industrial companies. SINTEF is Scandinavia’s largest independent research organisation, and is a non-profit research foundation with about 2000 employees. SINTEF is a multidisciplinary private research institute that performs contract research and development for industry and the public sector. SINTEF is multidisciplinary, with international top-level expertise in a wide range of technological and scientific disciplines, medicine and the social sciences. SINTEF vision is „technology for a better society“, and it is an important aspect of the company societal role to contribute to the creation of more jobs. SINTEF acts as an incubator, commercialising technologies through the establishment of new companies. SINTEF is the coordinator of STOP-IT. In addition, SINTEF participates in the project work with the research divisions of water and environment, ICT and Technology & Society. SINTEF has a comprehensive long time research experience in the field of water and sanitation services, infrastructure asset management, risk management, cyber security and social science. The Technion – Israel Institute of Technology was founded in 1912 in Haifa and is the oldest university in Israel and the Middle East. The university offers degrees in science and engineering, and related fields such as architecture, medicine, industrial management and education. Technion is noted as a global pioneer in multidisciplinary research into fields including energy, nanotechnology and life science. It has 18 academic departments and 52 research centers and over 13,000 students. Since its founding, it has awarded over 95,000 degrees and its graduates are cited to have brought the unique skills and penchant for innovation which helped conceive and consolidate the modern State of Israel. Technion’s over 610 faculty members include three Nobel Laureates. The Technion will be participating in most of the project’s work packages and will be leading the work on Risk Identification, Asset vulnerability assessment to risk events and IT and SCADA systems security. Worldsensing is a widely recognized global IoT pioneer. What drives us is the passion to redefine the way smart cities manage mobility and how traditional industries operate infrastructures and assets. We empower customers to make the right operational decisions based on real-time intelligence. These insights enable operators to understand the performance of distributed infrastructure, make predictions, improve efficiency and even prevent disasters. This is what we call Connected Operational Intelligence. Today, we are reinventing the world we will live and work in tomorrow, with more than 200 customers in over 40 countries across 5 continents. 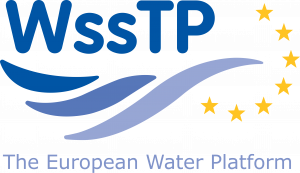 WssTP is the recognized voice and promotor of water-related RTD and innovation in Europe. We strive to increase coordination and collaboration, to enhance the performance of the water service providers, water users, and technology providers, in a sustainable and inclusive way. WssTP will take an active role in the exploitation of the project tangible and intagible results to ensure that the project results are taken up by the project stakeholders and that the project has a long lasting impact in Europe and beyond, during and after the project lifetime. In consultation with the project partners, WssTP will develop individual exploitation strategies to meet the requirements of different target audiences, different means and appropriate timings. This plan will provide recommendation of exploitation from the front-runner cities and follower cities as well as an analysis of key tools to stimulate investments; and marketing strategy of commercial / market outputs. The Project Advisory Board (PAB) is a high-level international panel of experts from different areas of knowledge that provide an additional form of quality control, advice, and validation of the vision, global impact, dissemination networks and outreach of the project. They also contribute expertise in data protection and ethics to monitor the ethical concerns of STOP-IT. Main areas of expertise: Risk assessment, propagation and analysis, asset management of water and wastewater networks, multicriteria analysis, urban water systems. Main areas of expertise: Risk analysis, crisis management, IT-security in water sector, integrated risk, asset management of water assets. Main areas of expertise: Fault diagnosis and tolerance control. Main areas of expertise: Developer of solutions to various US security challenges, including cybersecurity, CI protection, engineering design and sensor data analysis. Main areas of expertise: Re-elected member of the Executive Board (2015-2018) at the European Technology Platform on Industrial Safety (ETPIS), in charge of the coordination of the NTPIS (Network of European National Platforms). Main areas of expertise: Independent ethics expert giving advice to the project consortium partners. If sensitive data or security issues occur as a result of the project activities (research activities, data collection, interviews etc. ), the STOP-IT project will immediately perform a security risk assessment identifying assets, risks and mitigating activities. The Security Advisory Board will advise the project on how to handle such issues. Jørgen Dyrhaug has a Master’s degree from the Norwegian Institute of Technology. He worked 14 years at the Norwegian Department of Defense before joining the Norwegian National Security Agency in 2013. He has worked extensively with security of critical infrastructures, with a special focus on organisation-wide prevention of security incidents. Dr. Bartnes is the Chief Information Security Officer of the SINTEF group. She has a PhD in critical infrastructure (Smart Grid) security from NTNU. She is responsible for all information security policy work at the enterprise level, including aspects relating to classification of information. Ricardo Nieto Salinero has a Master’s Degree in Information Technologies and Telecommunication, a Bachelor’s Degree in Telecommunication Engineering, and is Lieutenant of the Guardia Civil LEA in Spain, currently head of the Project Management Section (Cybersecurity Service – CNPIC). He has worked as Project Manager and Industrial Control Systems Project Engineer in facilities like “Malaga Airport Multiservice Network” or “Barcelona Airport Electrical and Auxiliary Systems Remote Control”. He has also been Technical Director at the Engineering Department of the Criminalistics Service of Guardia Civil for seven years, elaborating forensic technical reports.